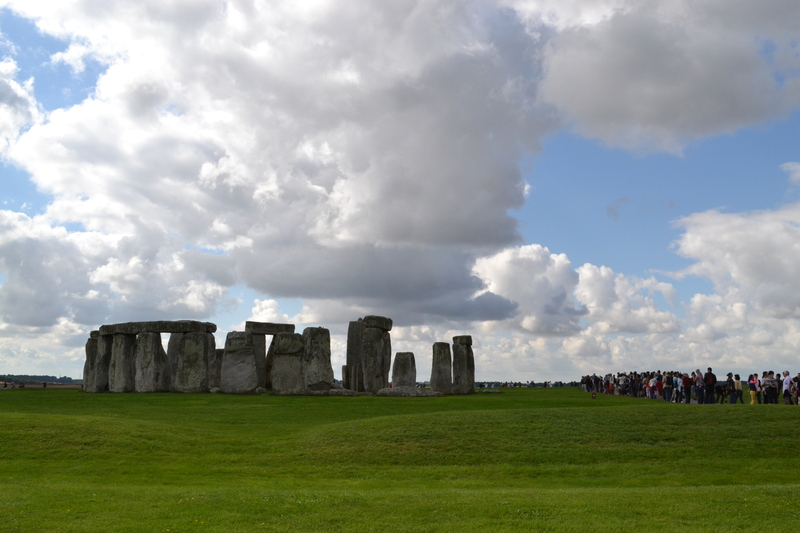 The drive to Stonehenge from London is short, at least by American standards. A long drive from my perspective is several hours. 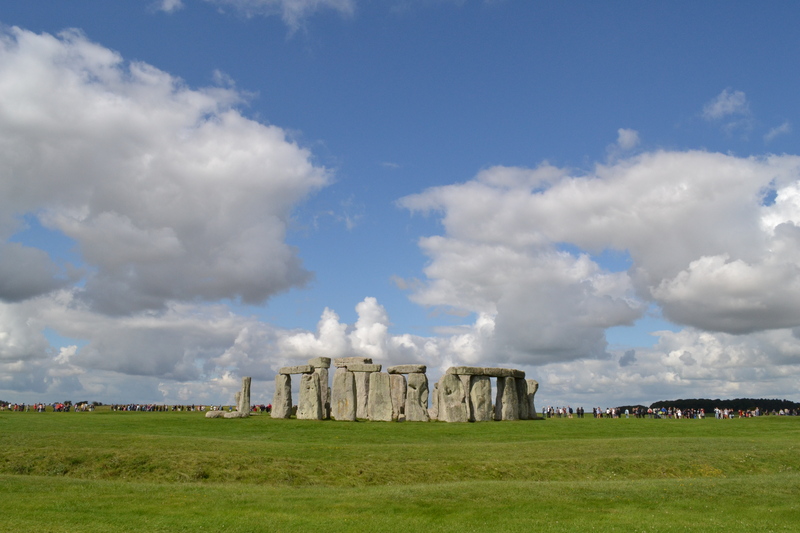 To get to the Salisbury Plain and Stonehenge it takes no more than a couple of hours. And after doing the trip with a friend and his son on my recent trip to England, I can truthfully say it is more than worth it. Some people told me, after they had seen Stonehenge, that it was rather anti-climactic. It wasn’t nearly as impressive as they had anticipated or hoped. But when I stood there, feet from one of the most historic piles of rocks on the planet, I was in complete awe. 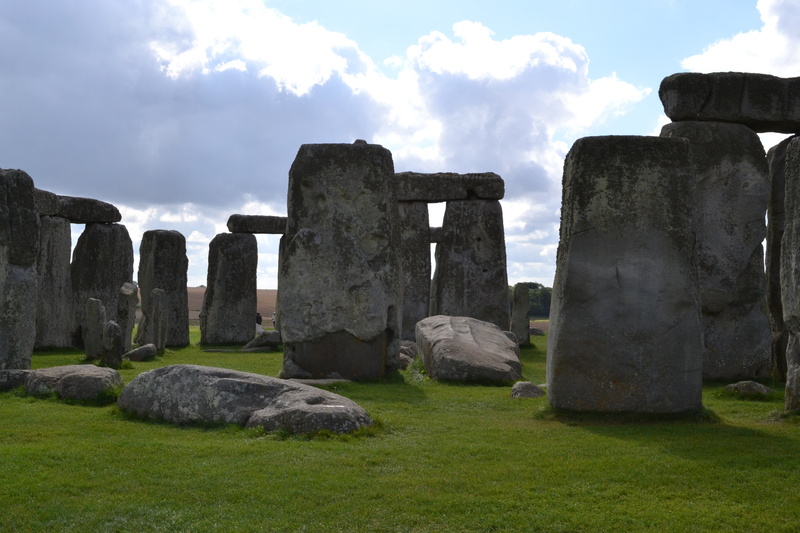 To think that approximately 5,000 years ago the first of three phases of construction began on the site; stones, some weighing as much as 25 tons (50,000 pounds), were brought some 150 miles (240 km) across land to the site. At least that’s one of the beliefs. There are other thoughts and opinions, but none of them stuck with me as I walked the circular path around the UNESCO World Heritage Site. The words “awesome” and “amazing” were continually uttered by each of us as we walked the grounds. To think what was done, long before any hydraulics or serious machinery, and how it would likely take so much longer to do the same project in today’s bureaucracy impressed us. We couldn’t do much more than gape slack-jawed at the accomplishment, especially considering how it was so perfectly aligned for the midsummer sunrise and midwinter sunset, two incredibly popular times to visit the location. When we departed Stonehenge we knew it would be a good day. It was already made so with our visit. And since we were on our way to a location which was described to me as putting Stonehenge to shame, we knew it could only get better. And it did. 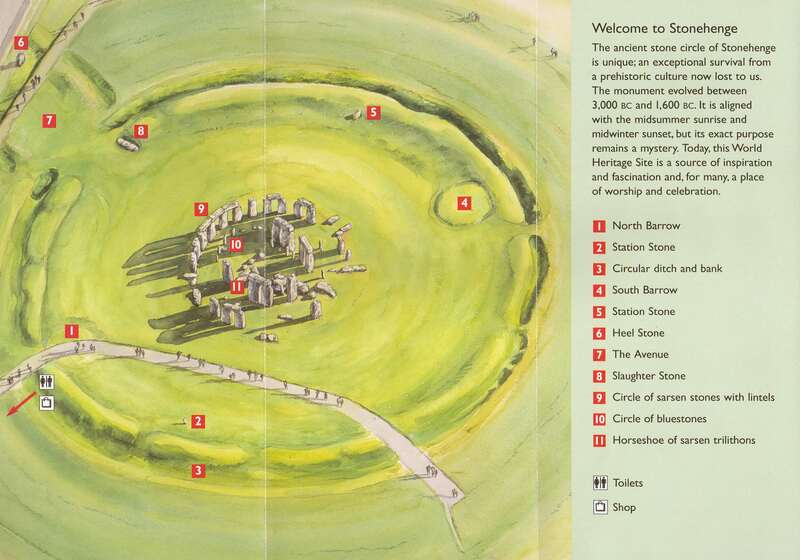 But that doesn’t mean Stonehenge wasn’t worth our time – it most certainly was – just because Avebury’s Neolithic henge is so much larger that you could fit Stonehenge in its circle several times over; it’s really quite mind-numbing to contemplate its size while standing amongst the rocks. Spread out across 30 acres about 25 miles north of Stonehenge, Avebury is quite possibly the most impressive stone circle in the world. It is so big that we didn’t realize that we were inside its circle until after about fifteen minutes of walking amongst the rocks, some large and some small, because we assumed it was a causeway of some kind leading to the actual circle. 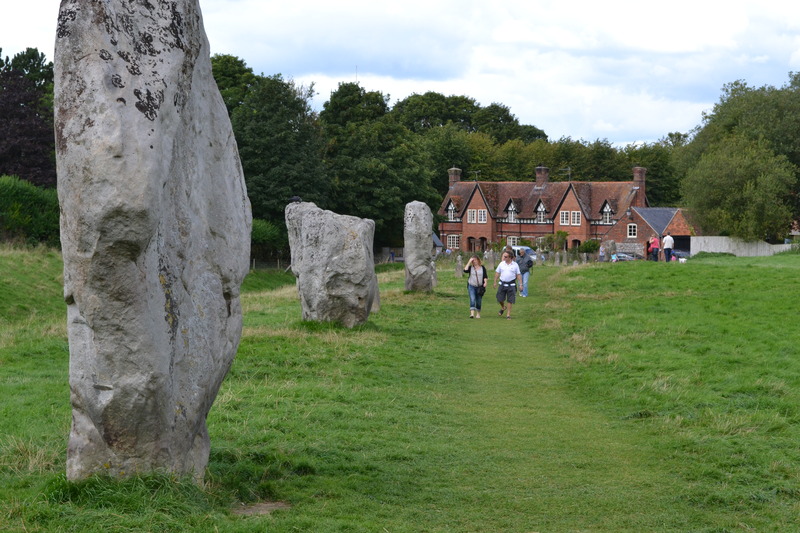 After seeing Stonehenge, we believed Avebury would be much the same and that these smaller rocks were simply an outlined pathway leading to the great circle. But they were it, a huge circle consists of 400 stones weighing up to 65 tons. After walking around the stone temple, which is believed to have been used for approximately 700 years, we decided to set out. It was already late in the day and we were getting tired after all of the driving and walking, particularly around Avebury; it took us over an hour to walk the circle with little time for stopping or exploration. But even though we were leaving the stones that are often overlooked due to their smaller cousins to the south, our day wasn’t nearly over. I had planned another stop for our return journey to London. 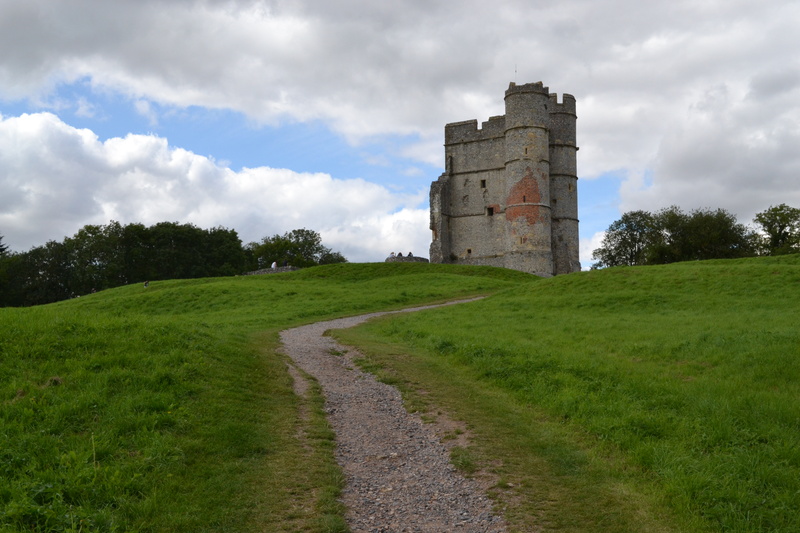 My map said “Donnington Castle.” I had no idea what it was, though, other than a castle. The history surrounding it escaped me. Only after we arrived did I learn that it was a fortified residence in the 14th century that was used during England’s Civil War. Today it is a popular picnicking spot, much like it probably was hundreds of years ago minus a few castle walls and some cannonballs. Due to the ravages of time and a 20-month-long siege, what remains of the twin towers gate house and fortifications is likely not nearly as impressive as what Sir Richard de Adderbury built long ago. Nonetheless, it was a fantastically random stop, something I hadn’t known about until I saw it on our map during our return drive, and one that is very popular amongst residents of Donnington village and nearby Newbury. The warm summer weather brought out dozens of picnickers. Some were lounging on blankets, others playing football (soccer), and more were exploring the crumbled castle walls. We walked the grounds, encircling the castle and peeked in through the massive gates with a sigh and the desire to explore it more fully. Sadly it is closed to such opportunities. 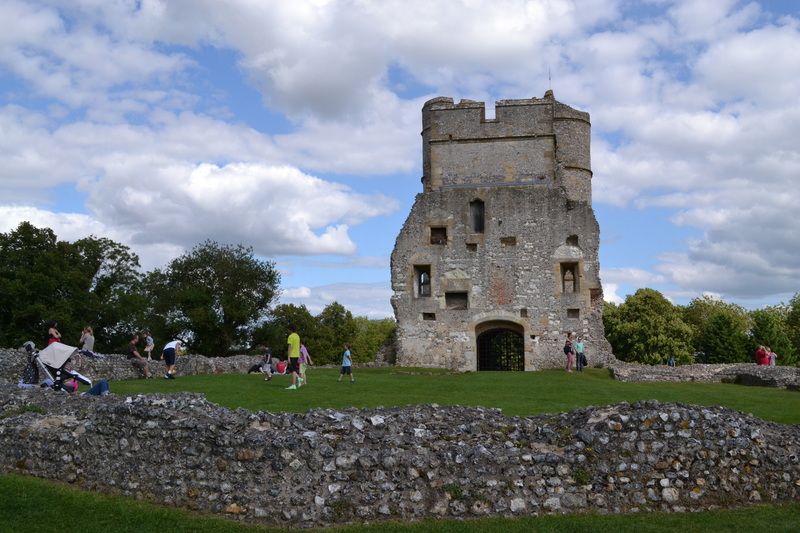 Despite the disappointment over the impossibility of further exploration, Donnington Castle was a fantastic last stop on our daytrip out of London, all of which took no more than a few thousand years – depending on your perspective. 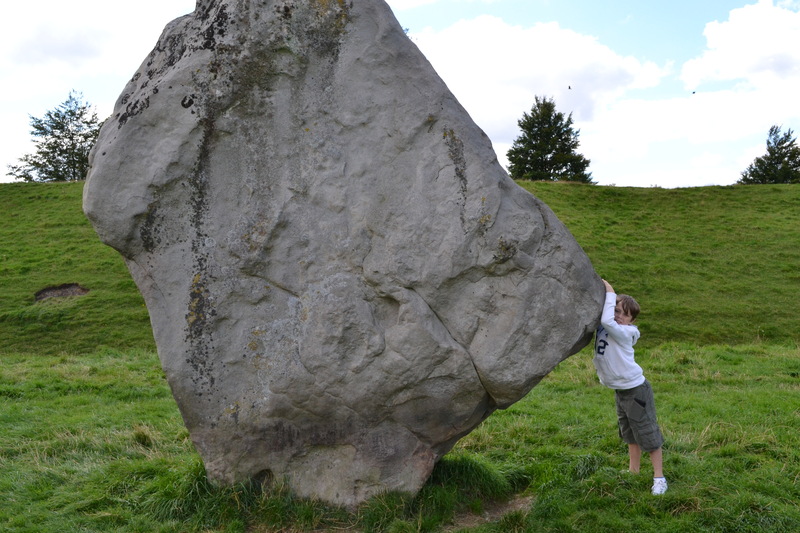 We saw two impressive historic stone circles in Stonehenge and Avebury – Heck, forget impressive, they were amazing! – and became reenergized for the return journey after our random castle stop, learning many new things along the way. And it all has me excited for a return journey to England to explore not only more of London, but also more of the many exciting opportunities outside of the city. I’ve never even heard of Avebury! If it’s so much bigger, I wonder why Stonehenge gets all the attention? I would have loved that, too, but certainly can’t complain about seeing them as it’s set up now.